Eating etiquette is a big thing in most, if not all, countries in the world. For Westerners, eating etiquette in Asia is particularly daunting. Especially when it comes to the whole “having-to-eat-with-chopsticks” thing. That’s a tricky thing to pick up (no pun intended) at first. There’s the whole fact of having to learn how to pick up food with chopsticks. If you didn’t grow up using chopsticks, this is no small feat! Then, there’s actually managing to use them to feed yourself. Once you’ve mastered that, you’re good to go. Almost. Because another really important thing to know in China is where to put down your chopsticks when you’re not using them. A big Chinese no-no: vertically planted chopsticks. In China, one of the less respectful things you could do is plant your chopsticks directly in your rice bowl. This symbolizes death, in the form of an offering for the deceased. Some say this portrays the ritual of incense-burning (in ashes), which symbolizes « feeding » the dead and death in general. Others say it’s because a bowl of rice with upright chopsticks in it is traditionally offered to the spirit of a dead person. In any case, chopsticks placed vertically in rice are strictly reserved for funerals. 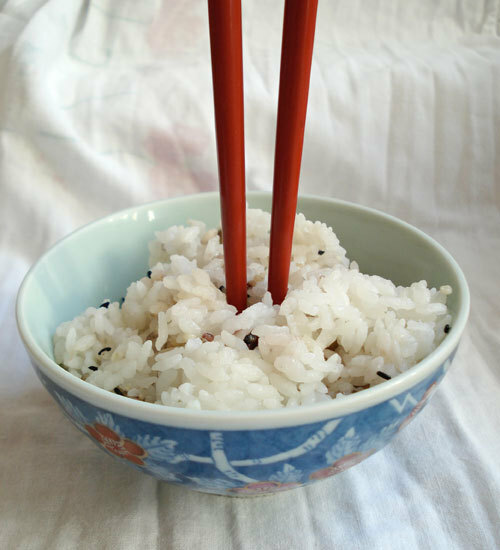 Crossing your chopsticks on the table or on your bowl is also considered to be a no-no for the same reason, but the upright-in-rice thing is the worst. Are the customs the same throughout China? Imagine our surprise then, when, during the course of the dinner, this Chinese colleague casually planted his chopsticks in his bowl and left them there to take a break from eating. Was what we’d been taught about chopstick planting just a stereotype? Did this actually not matter in China? Did nobody bother about this kind of stuff anymore? 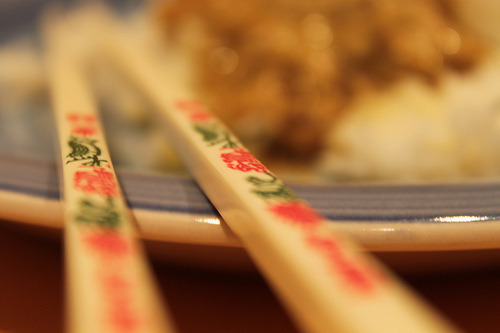 Has chopstick etiquette gone down the drain? We were quick to ask our Chinese friend (who hadn’t noticed this planting of chopsticks yet). Appalled, she quickly grabbed the chopsticks and placed them next to the bowl, where she considered they belonged. We asked the colleague about this. 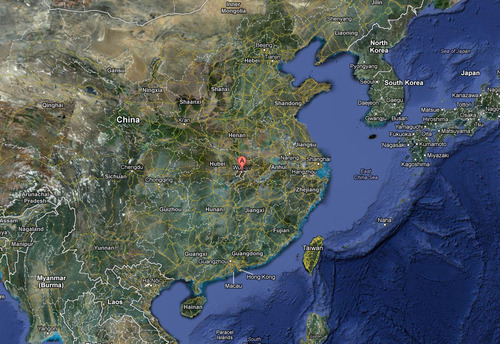 He explained that where he came from, Wuhan, in the province of Hubei (see map), the same rules didn’t apply. In fact, it was quite the opposite. It seems that in Wuhan, people use their chopsticks differently. Setting your chopsticks down next to your bowl was something he actually considered quite rude and offensive! Where he came from, planting chopsticks was the norm. This was a good lesson for us and a reminder that China being the size of a continent, it is unrealistic to expect the same customs and table manners everywhere in the country! So, before you go to China, make sure you read up on proper Chinese cultural etiquette, but be prepared to also learn a bunch of different local rules when you’ve landed in your destination of choice! Did you learn any other customs during your travels in China? And, by all means, wherever you are, don’t let all this keep you from enjoying the mouth-watering, delicious food you’ll eat in China! 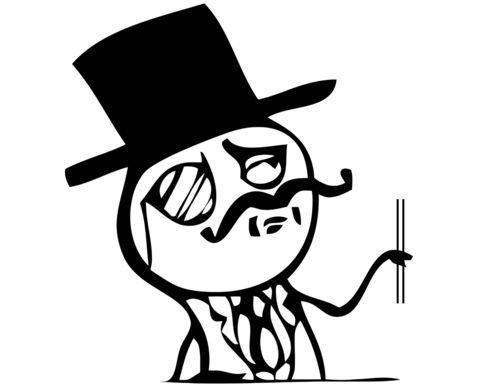 Because now you know how to feel like a sir when using chopsticks in a restaurant! Happy feasting! Chinese wedding: four words for ultimate good-luck Chinese Street Food: The Guide The Worst Video You’ll Ever See On Chinese Food Chinese Halloween: ready for some Chinese ghosts?